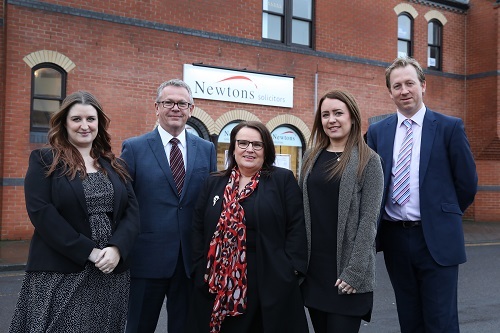 Newtons Solicitors has announced plans to develop a full-service office in Stockton, following the successful opening of its latest branch. The company, has also recently made some significant hires, as it further invests in the area. The brand-new office of Newtons in Stockton has enjoyed a healthy start, with plenty of new instructions, support and interest from Stockton agents and the local community. Jackie Howard and her team have been appointed to start building the Stockton office of Newtons. Jackie was previously at Freers Askew Bunting Solicitors. Well-known and respected, Jackie specialises in residential property transactions. She has a wealth of experience in the local property market gained over a thirty-year career in conveyancing. The firm is also pleased to welcome Rory Gibson, a former branch manager at Handelsbanken to its Durham office. With a highly-regarded reputation and a career that includes major companies, including Handelsbanken and Barclays, Rory will be working introducing the firm to businesses in the Durham, Stockton and Darlington areas. Located at the Rivergreen Centre, at Aykley Heads, the Durham-based office of Newtons made a profit after only two months of being opened in autumn 2017 by award-winning insolvency and turnaround specialist and director of Newtons Andrew Cawkwell together with senior commercial property solicitor James McEwen. The team have seen a number of significant client wins and panel appointments, including Atom Bank and Northumbrian Water. Chris Newton, managing director of Newtons Solicitors says: “An important part of delivering our expansion plans is making sure we have the right people in the right places. Our new hires mean we can continue with our planned growth as well as deliver a fantastic service to our clients.